It’s mid December and icy cold up the hills. The water has turned to ice, but it’s getting longer for freezing of the ice. Owing to the late freezing of natural ice, ice skating in Asia’s oldest natural ice-skating rink in Shimla has yet again been delayed for the third consecutive year, by a week. “We are behind schedule by a week for the usual start of the ice skating session. 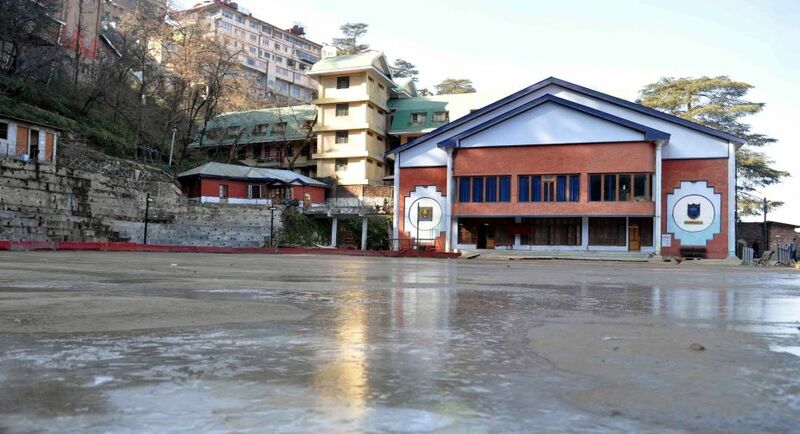 However, with the temperatures having fallen today has a favourable chance of starting the same in two-three days’ time after the ice freezes,” Shimla Ice Skating Club secretary Bhuvnesh Banga said. “We are keeping an eye on the weather and ice conditions. Efforts are on for the natural freezing of water which has not started due temperatures having been warm in the last few days. A few decades earlier, the freezing would often be witnessed in the month of November,” he said. The ice skating rink is the Asia’s oldest natural ice-skating that came into existence in 1920 during the British Raj and since then, the more than nine decade old Shimla Ice Skating Club plays host to the winter skating activities. The skating rink located adjacent to Lakkar Bazaar in Shimla city, Himachal Pradesh, has shared space in the old Bollywood flicks that include Mera Naam Joker, Who Kaun Thi, Janwar and few more. Once the winter activities picks up, a winter carnival will ensue by the end of the month, the itinerary of the same will be finalised by December 20, he added. “The club membership is for locals, having 40 members in the junior category, while 170 in senior category of two types. Nevertheless, we welcome walk-in tourist as well,” he said. The rink has undergone renovation recently, thereby lending more space after expanding its its width and length. The weather in the tourist hill destination is currently warm that is not favouring for freezing of ice. Maximum temperatures today stood at 15.6 degree Celsius, while the minimum temperature recorded was 5.2 degree Celsius.